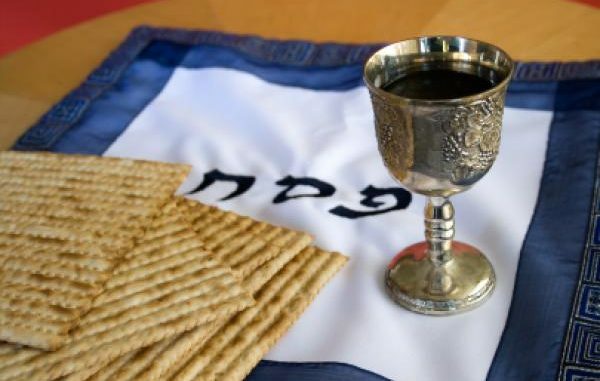 The name “Passover” is an English version of “Pesach” (PAY-sahch, with an “h” that is somewhat aspirated,) which derives from the Hebrew root meaning: to pass over, to exempt or spare. The name comes from the fact that the tenth plague, the Angel of Death “passed over” the houses marked with the blood of the lamb. The original Passover meal preceded the escape from slavery in Egypt by the people of Israel under the guidance of Moses, also known as the exodus. The story is one of the most well-known, inspiring and often repeated stories in the Bible. Passover is a “moveable feast”, which doesn’t mean you eat it on the run. It means the date for the Passover, being on a lunisolar calendar, shifts from year to year on the Gregorian. Interestingly, although everyone starts on the same day, the Passover is observed for eight days among the diaspora, but only seven in Israel. 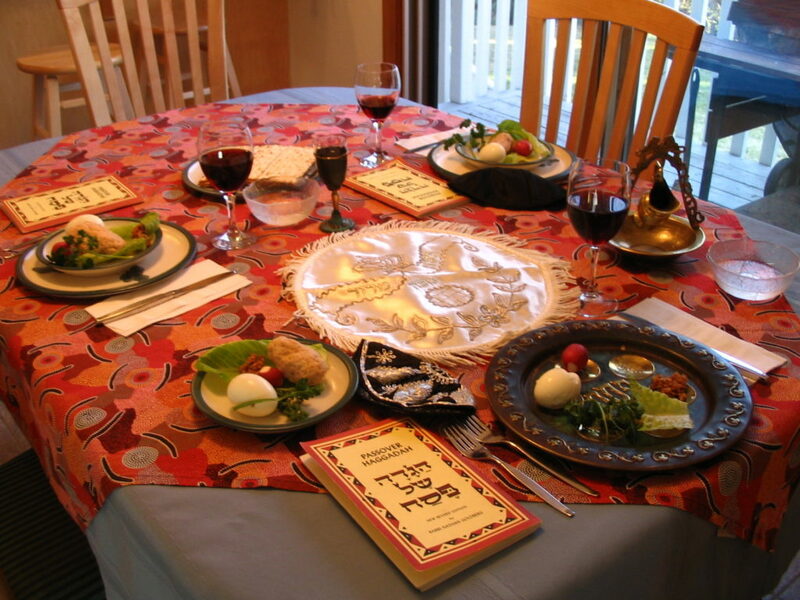 The Seder, literally meaning “order”, is the focal event of the Passover holiday. This is a festive meal, during which the Haggadah, the story of Exodus, is recited in order (hence the name.) The foods of the Seder are symbolic: bitter herbs, a reminder of the bitter slavery; zeroah, shank bone, representing the Passover lamb; beitzah, hard-boiled egg, symbolizing birth, life and regeneration; and karpas, representing hope and redemption. By Rabbinic requirement, four cups of wine are to be drunk during the seder meal. Central to the Seder, and a vital part of the Exodus story, is matzah. However, to appreciate matzah, we have to take a look at chametz, (sounds like “huh -mits”, but with that ubiquitous aspirated “h”,) also known as leaven. Throughout the holiday chametz is avoided, this is to commemorate the Jews leaving Egypt in a hurry. They did not have time to let their bread rise, in fact, they were forbidden to have leaven in their last meal in Egypt. The leaven also represents ‘puffiness’ in spirit, A.K.A conceit. Practically speaking, avoiding chametz varies from a bit of spring-cleaning, to offloading pets that eat grain, and selling cooking utensils used in preparation of grains and grain products. They can all be bought back after Passover. If you don’t use leaven to make your bread rise, you get a flat bread. If you simply and quickly knock together flour and water and cook it, you get something like matzah. The Jews in Egypt didn’t mess around preparing their last meal before their big escape. They were even commanded to eat with their coats and shoes on. Ready to move. The questions are intended to encourage discussion among those at the table on the significance of the symbols in the Passover. The story celebrated at Passover certainly does encourage discussion, and has done throughout the ages. It has inspired all kinds of minds, from Fredrick Douglas, to the makers of multi-million dollar movies. No doubt it will continue to inspire for generations to come. From a Christian point of view, there are allegories, prophecies and prophetic acts shining from every facet of the Exodus story. Passover is, no doubt, a celebration of one of the greatest jewels in the treasury of God’s family book.